PCA Distances between the observations and also the inner products between observations and variables. Covariance / Correlation Relationships between the variables and the inner products between observations and variables. Joint Distances between observations and also the relationship between variables. A 2-dimensional biplot represents the information contained in two of the principal components. It is an approximation of the original multidimensional space. 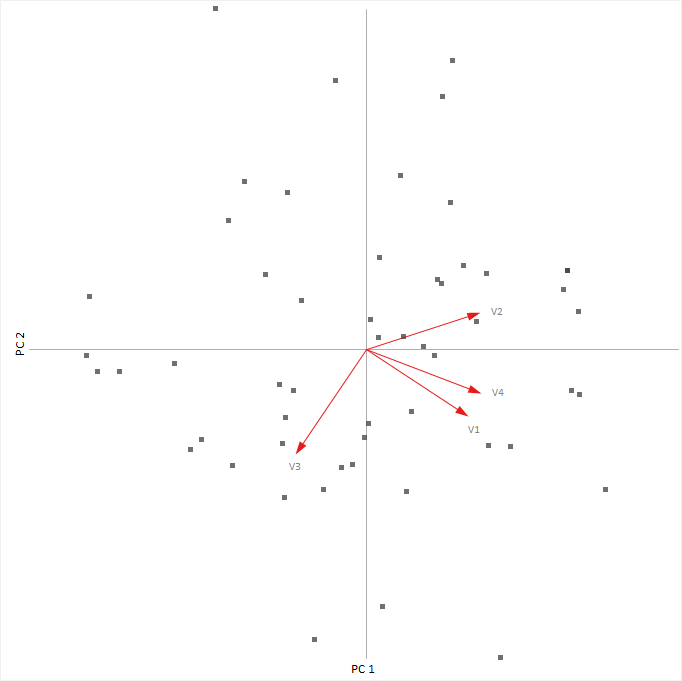 The classical biplot (Gabriel 1971) plots points representing the observations and vectors representing the variables. A more recent innovation, the PCA biplot (Gower & Hand 1996) , represents the variables with calibrated axes and observations as points allowing you to project the observations onto the axes to make an approximation of the original values of the variables. Gabriel, K. R. (1971). 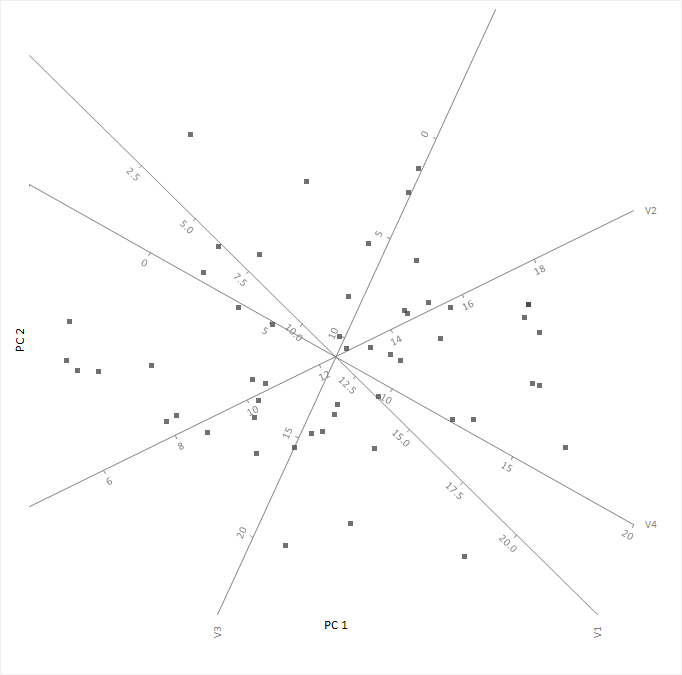 The biplot graphic display of matrices with application to principal component analysis. Biometrika, 58(3), 453-467.